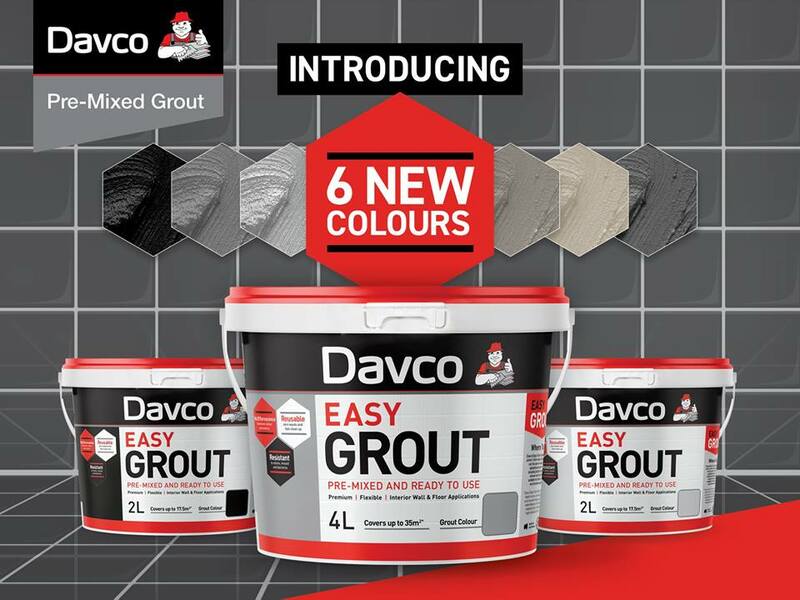 Davco Easy Grout Has Hit Our Shelves! 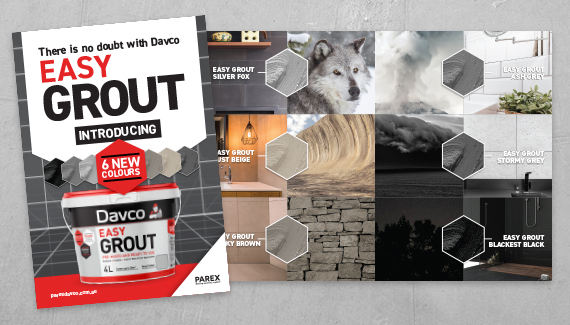 Pre-mixed and ready-to-use Easy Grout from Davco have the shelves! Easy Grout is a revolutionary pre-mixed grout from Davco! The pre-mixed formula is easy to use, simply stir and begin the application and is perfect for commercial or DIY use and requires no sealer! With maximum colour consistency, this product is guaranteed to have no efflorescence. All 6 colours are available in 2 and 4-litre tubs which all have maximum colour consistency that can resistant to stains, bacteria and mould. There is no doubt with Easy Grout!